Discussions Magazine Music Blog: GRECHEN PETERS' Hello Cruel World is available NOW! 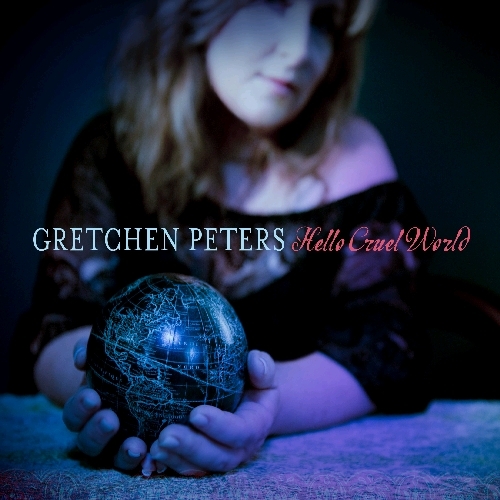 GRECHEN PETERS' Hello Cruel World is available NOW! 2012 album from the Grammy-nominated singer/songwriter. The title, Hello Cruel World, is a pun on the famed exit line - a joke that, like the lovely melodies and deliciously textured arrangements framing these 11 songs - sweetens this captivating music spun from a year of turmoil. Peters calls Hello Cruel World her "most close-to-the-bone work, written at a time when I felt absolutely fearless about telling the truth." Peters and her guest Rodney Crowell sing, "life is still a beautiful disaster," on "Dark Angel." But Peters keeps the accent on the "beautiful" throughout her ninth disc, with both her poetic language and the spare, evocative sounds she created in the studio to support her organic story-telling.